“I will cherish it always. No matter what may befall the world. No matter the oceans, or mountains, or forests in the way." Wow. Just wow. The first 3/4 of this book were pretty meh for me. 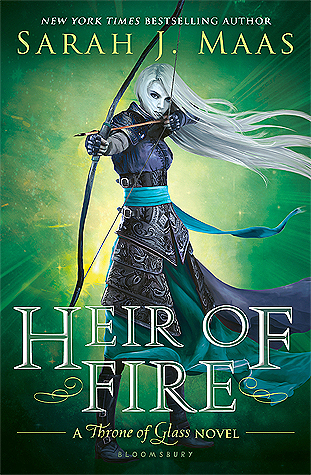 In fact, it took me like two months to get through it because I just didn't care about Chaol or Nesyrn's story that much, and I felt like the chapters were getting super repetitive. I wanted Aelin and her court back. But then, that last quarter.... holy sh*t. It had me screaming "YES. SARAH J MASS STRIKES AGAIN!" It was enough to immediately kick my rating into the four-star range. 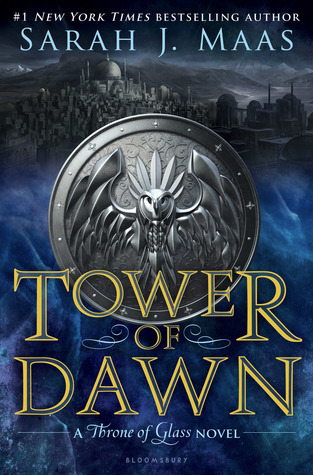 So, the first thing you need to know is that the events in Tower of Dawn are taking place at the same time as Empire of Storms, which is actually really interesting. I squealed every time I heard a whisper about Aelin's activities across the sea. However, just because this book is a break from Aelin's POV and takes place in another realm doesn't mean it's not important to the entire ToG story. It truly is the sixth book in the series, and without reading it, you probably won't understand the next installments in the story. As always, Mass' writing style is moving, but I will say that she drags things out quite a bit. The first half of the book felt like it was lacking its momentum, and I kept wishing that she would just get to the good part. I understand that she needed time to build relationships between characters and whatnot, but some of the descriptions and repetitive scenes had me yawning. That's predominantly why I just couldn't hand out five stars to this novel, even though I adore this series and Mass. If you can make it through that first section of slow development, hold on to your horses because it's a wild ride until the last page. A new country is introduced, which is great fun. If we've learned anything from the ACoTaR series, it's that Mass is a master of world-building, and she highlights that skill again in this series. I had a wonderful time learning about the Southern royal family, especially Sartaq and his clan of ruk-riding warriors (seriously, a huge highlight). There's political intrigue, ancient secrets, handsome princes, romance, epic battles, and desperate fights for survival, just like in any Mass novel. She truly is one of my all-time favorite fantasy writers. All in all, don't expect this book to carry the same momentum as Empire of Storms. That was my first mistake, and it caused me to grumble quite a bit about the first part. This is a novel of emotional healing, as well as huge plot developments that take their sweet time coming to the forefront. Push through the slow parts and you'll be rewarded with a classic, heart-wrenching, stomach-plummeting, tear-jerking Mass ending. One note on that final chapter: SARAH J MASS. How DARE you?!?! ! That ending left me SHOOK. So many great ships, so many plot developments, so much anticipation for the next novel.